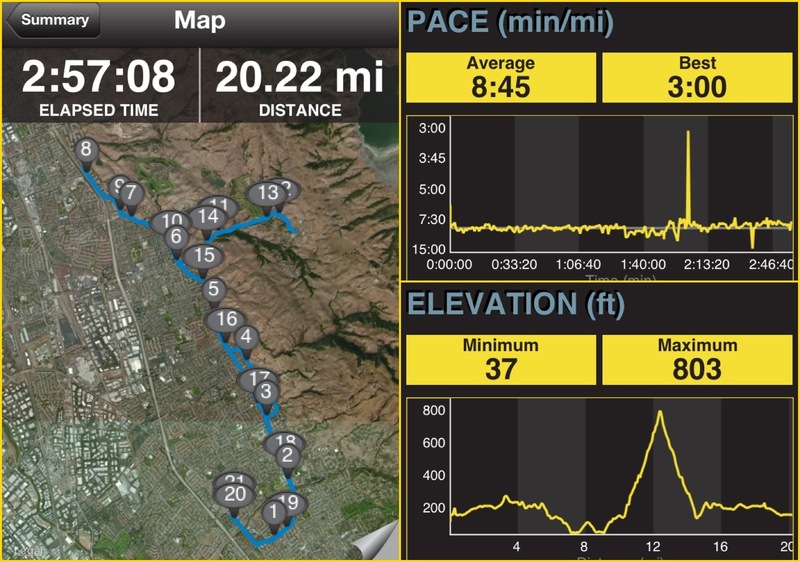 Today was the second of my two 20 milers on my Big Sur Marathon training plan. It was a great run, which included my Hurricane Point simulation, and I felt good after I got home…like I could have gone at least 6 more miles, but I’ll save that for April 28th. Not exactly sure where that 3:00 pace burst came from. Now to spend the 2,300 calories I burned; actually, a total of 5,100 for the day now…hmmmmm. Comments: I did 20.22 @ 8:45/mi pace. I bought some recovery compression socks last week and am giving them a try today to see how they work.